The year 2008 is hobbling to the finish line. It's been a tough twelve months for many people--personally, economically, professionally, emotionally. Everywhere, holiday banners and songs proclaim "joy to the world" and a "season of joy." But how can one find joy at this time? As always, we look to our travels for lessons. 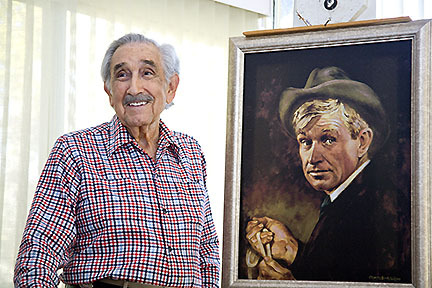 In Northwest Arkansas, Charles Banks Wilson, 90 years old, has endured health challenges, but keeps himself buoyant by doing something remarkable: painting every day. His work hangs in major galleries and he could easily retire and gaze out the window at the cycles of nature, but he goes into his home studio, squeezes oil paints onto his palette and dips his brush into the colors. We're not sure he whistles while he works, but his paintings reflect his deep appreciation of people and life. In Damascus, Syria, a successful and well-known restaurant owner confessed that his satisfaction does not come from renown or money. He derives joy from helping orphans and refugees. In Sydney, Australia, a famous didgeridoo player died this year. He made a name in world music and was an inspiration to musicians and fans of Aboriginal art and culture. To commemorate his life, many Aboriginal and non-Aboriginal people gathered at the harbor; the former played the didgeridoo to accompany him back to dreamtime. In the middle of their mourning, there was great joy. 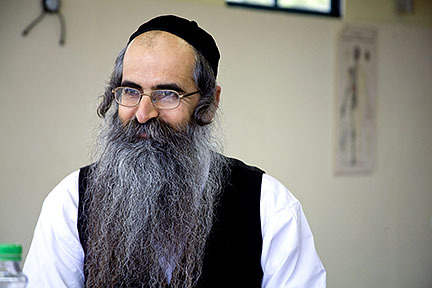 In Israel, a rabbi derives joy by combining Kaballah and Chinese medicine to help people heal. Near the border in Lebanon, a young dentist works with gusto, loves her family, but always wondered if she could write and if she has something to say. On Facebook, she has started writing from the organ that is most significant to her: her heart. It lights up existence for herself and her readers. In Turkey, the Mevlevi order of Sufi dervishes twirl ecstatically to get closer to the Divine and shed their attachments to the material things of the world. One of them explained to us that everything in nature rotates--from atoms to planets-- and the dervishes turn too. In Guatemala, a group of recently-converted Jews were ecstatic because a generous donor provided them with their first Torah. On a ferry going from Seattle to Bainbridge Island, a group of passengers stood and stared at the blazing sunset reflected in the downtown buildings. They were hushed with reverence for nature's light show. 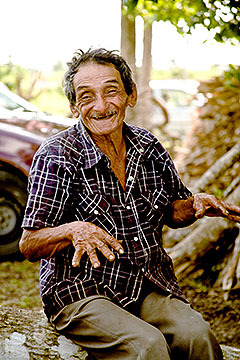 In a Yucatan jungle in Mexico, a shaman was so happy to receive visitors that he broke into song. All of these people undoubtedly experienced difficulties in their lives, but they also displayed a deep capacity for happiness. We have no control over what life slings in our direction. But even when our hearts are heavy and we are weighed down with worries; even when we are crying and feel hopeless, we can always find a glimmer of light in the darkness by choosing to do whatever brings us deep joy.